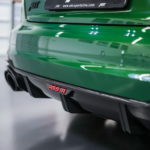 With Geneva Motor Show opening its gates in about a month, not only carmakers worldwide are preparing their latest rides, as tuning companies are also giving us a hint on their newest and most outrageous aftermarket programs. 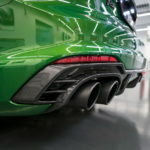 ABT Sportsline from Germany is an Audi-dedicated tuner that will present an astonishing model in Geneva. 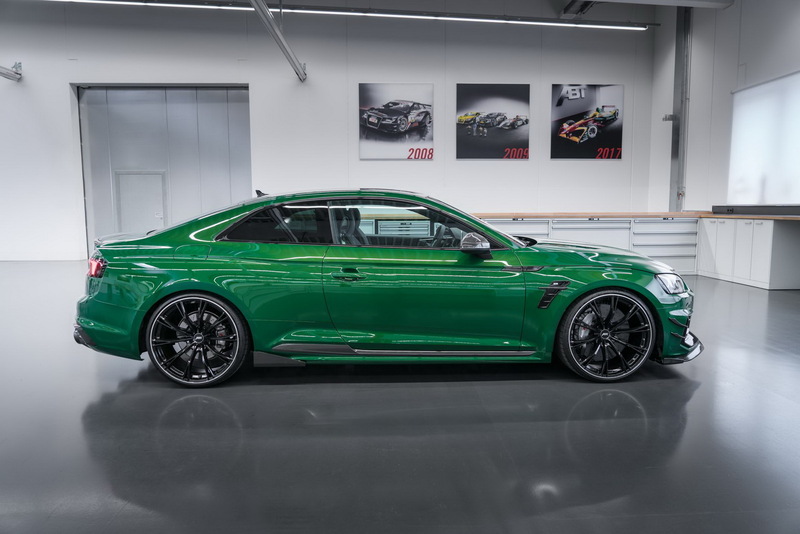 This is based on the RS5 Coupe and it is called ABT RS5-R. It is going to be limited to just 50 units worldwide, which definitely makes it extremely rare and extremely expensive. How much it will cost? According to some close sources, one such example would cost around 300,000 euros…at least. 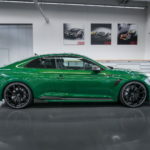 As we can depict from the media gallery below, the Audi RS5-R by ABT looks smashing and standout with the new styling elements at the exterior and a couple of touches inside. Speaking of interior, for the moment we don’t have any photos, but the tuner will surely get back with fresh info. 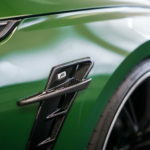 This crazy built stands out from the crowd with a green shade around the body style, along with bespoke and massive front grille and apron, wheel arch vents, side skirt add-ons, decklid spoiler or rear diffuser with incorporated quad exhaust pipes. There are also new mechanical tweaks involved like new KW coilover suspension system with sport stabilizers and height adjustable springs. The tuner has also ditched the stock 19-inch alloy wheels and opted for much bigger 21-inch rims, wrapped in 275/25 tires on all axles. 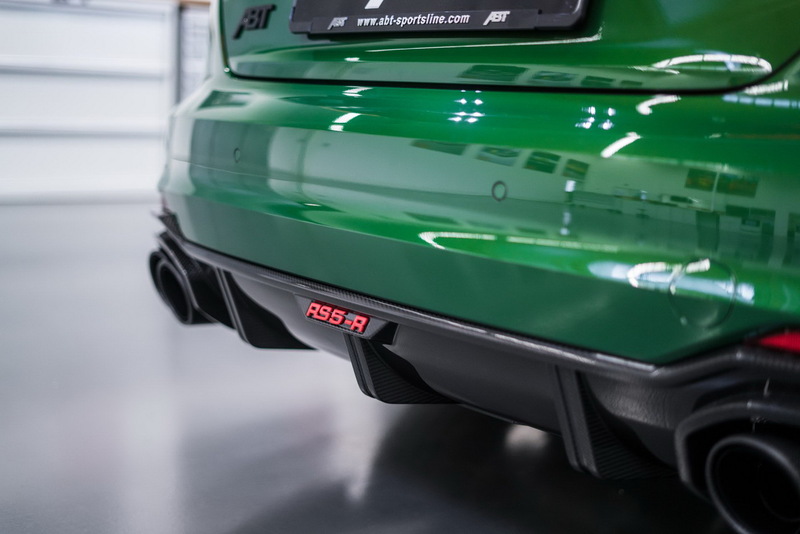 Overall, the Audi RS5-R by ABT looks wider, lower and more aggressive. 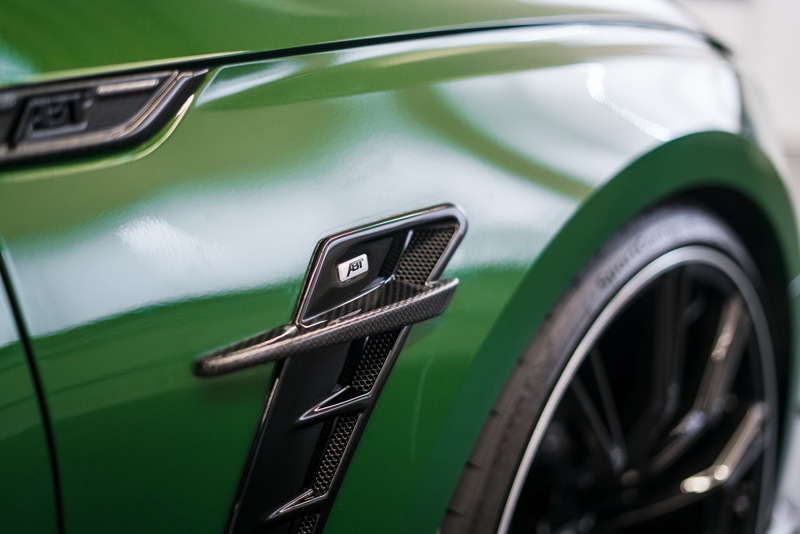 Inside, the cabin is believed to sport leather sports seats with the RS5-R logo, along with ABT gear shift cover from carbon fiber, and much more. There is also good news for those wanting more power. The technicians from ABT Sportsline have also infused a couple of new horses. 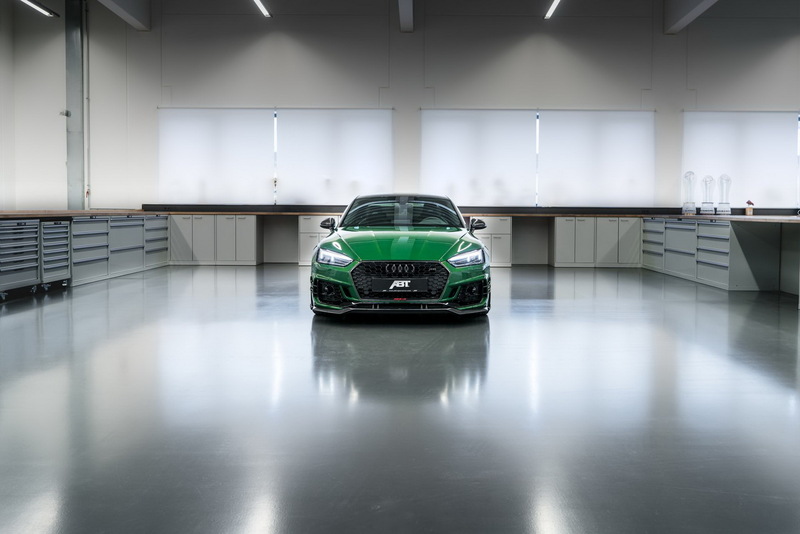 Thanks to their new power kit, this Audi enjoys a full 523 horsepower and 690 Nm of torque, which is 79 horsepower and 90 Nm of torque over the stock model. That makes it also faster – 0.3 seconds faster, meaning just 3.6 seconds from 0 to 100 km/h.